As you may know, Mecklenburg county has just completed the revaluation for 2019. The last time this was completed it was 2011. Most areas have seen increases in property values since that time. If you feel like the increase for your property is still not reasonable according to similar home sales in your area from 2018, you will need to file the Request for Informal Review. Instructions for filing a Request for Informal Review was included with your revaluation notice (you only have 30 days from receipt of the Revaluation Notice to file the Request for Informal Review). You will be paying according to that increase for the next 4-8 years (until the next revaluation). If you fail to notify the Assessor's Office within this time period, they will instruct you to re-file your appeal the following year. An appraisal report for your property prepared by a NC State Certified Appraiser can be a valuable tool in providing evidence to the Assessor's Office in your appeal to adjust your valuation. However, there is usually no need to get an appraiser or attorney involved until the Assessor's Office makes their Informal Review of the information that you can provide to them with just a little basic research on your own. Our website has a great deal of information and resources for property owners to use with regards to completing the Request for Informal Review. Read all of the information that Mecklenburg County has made available to property owners on the Mecklenburg County Tax Assessor's website. There are also a number of links on the various pages of our website that will get you to the right webpages for the Mecklenburg County 2019 revaluation. Be sure to check the information that Mecklenburg County has on file for your property with your own records to be sure that they are the same. Through the Meck Reval website from Mecklenburg County, property owners can find the tax record for any parcel in the county and most of the information you will need to verify is located in those tax records. A large percentage of appeals that are successfully resolved are due to the correction of errors on the tax record for a property. Use the "Market Analysis" link on the Mecklenburg County Polaris/GIS system to search for similar sales near your property. There is also an interactive map on the Assessor's website that show a map with qualified sales of homes that you can use to dispute your revaluation at Mecklenburg County's Reval Qualified Sales website. Search for comparable sales for your neighborhood with Mecklenburg County's Reval Qualified Sales tool. Once again, the county has provided a quick tutorial to help property owners complete this research on their own. Print out and attach the information that you identify that supports your case to adjust your valuation to your Request for Informal Review. The Assessor's Office will require that you have DOCUMENTATION for your reasoning as to why your tax value should be adjusted. File the Request for Informal Review that came with your revaluation notice. You only have 30 days from receipt of the Revaluation Notice to file the Request for Informal Review. This link is a brief tutorial on filing your Request. Once you have filed the Request for Informal Review, the Assessor's Office will perform their review of the information that you have submitted and they will make a decision to either change your valuation or they will elect to make to change to the new valuation. You will be notified by mail of their decision. 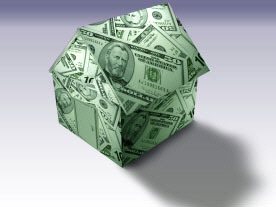 If you are unable to get a satisfactory resolution to your issue with the Informal Review procedures thar are required by the county, you can count on Home Analytics Appraisal to help take to to the next stage, appealing your new valuation to the Mecklenburg County Board of Equalization and Review. Complete the brief form below and provide a property address and a tax parcel number if you would like a price quote for an appraisal of your property to appeal your 2019 tax valuation.